I thought long and hard – and in fact wavered over – sharing the appalling, shocking images that have also featured on the front pages of international media. 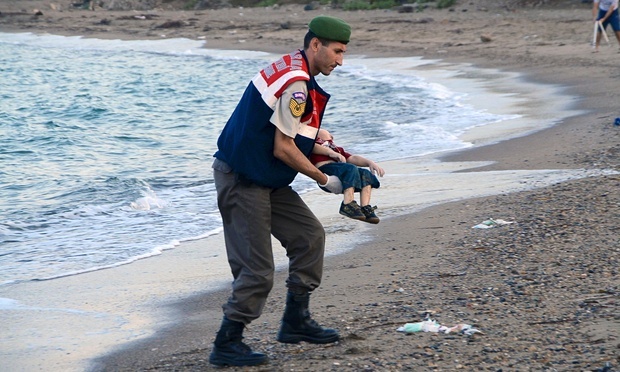 The tiny body we see being carried away from the beach in Bodrum by a Turkish policeman is of three year old Aylan Kurdi from Kobane, a Syrian-Turkish border town that earlier this year was the scene of fierce fighting between IS forces and Kurdish peshmerga. (And no less destructively a sustained US Afir Force bombing campaign, it should be added. Thus reportedly a third of all the bombs used over Iraq and Syria between August 2014 and January 2015 were dropped on Kobane by US B-1 bombers, killing an estimated 1,000 people in the process). To quote the words of a Somali poet citied recently by Francois Crepeau, UN Special Rapporteur on the Rights of Migrants, ‘Nobody puts their kids on a boat, unless the water is safer than the land’. In this tragic case, however, even the waters of the Aegean were no refuge for Aylan, his five-year old brother Galip and mother Rehan, who all drowned when their boat capsized at sea. It now emerges that their application for asylum in Canada had been rejected, and this was thus their last desperate attempt to escape to the Greek island of Kos from the hell that had enveloped their home. 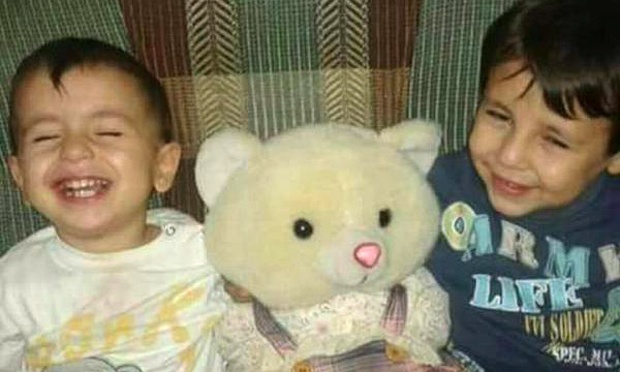 If nothing else, one can hope that Aylan’s tragic, and now highly mediatized death, helps to push international conscience towards a more compassionate, humane – and rational – response to the refugee crisis enveloping multiple regions of the world.